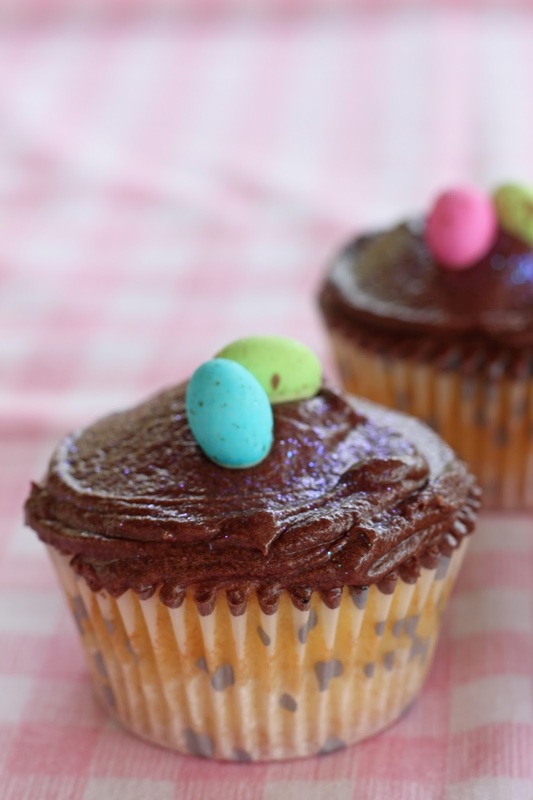 Although I try to avoid sweet treats like this, it doesn't mean everyone has to miss out, so I decided to whip up a batch of these easy cupcakes for Easter weekend. 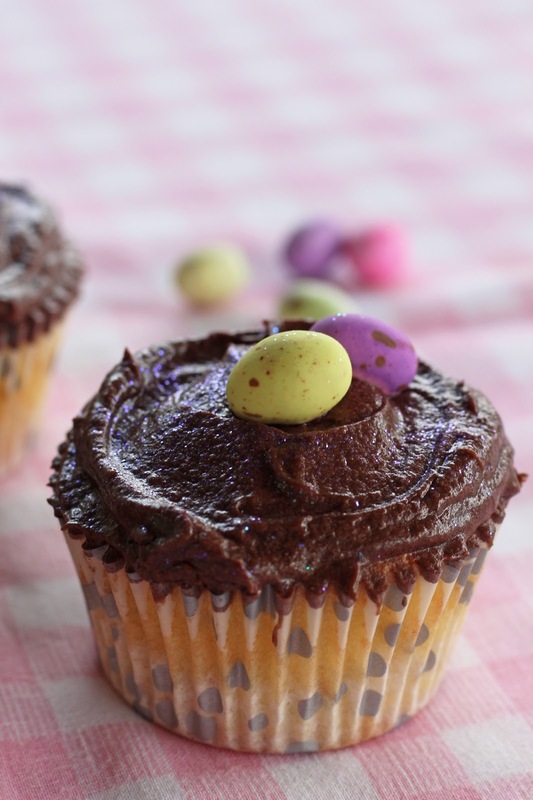 Because this is a rather simple cupcake recipe, I thought I would mix things up a little and do vanilla cupcakes with chocolate icing, they turned out really nicely, fluffy and just sweet enough. 1. Preheat your oven to 170* degrees. Line muffin tray with 12-14 cupcake cases. 2. Heat the oil and milk on the stove for 1 minute. Set aside to cool. And then add the vanilla essence. 3. Beat the eggs and sugar in a freestanding mixer for 5 minutes until it's pale and very fluffy. 4. Sieve the flour and baking powder in a separate bowl. Add half the flour to egg mixture, and then add half the milk mixture to the eggs. Repeat with the rest of the flour and milk. 5. Using a 1/4 measuring cup and pour batter into the lined muffin trays. 6. Bake for 15 to 18 minutes. Once baked set aside to cool. 1. Place sieved icing sugar and cocoa in a bowl. 2. Add the butter to icing sugar. Beat mixture with a freestanding beater or handheld one. 3. Add the milk and beat until smooth and creamy. 4. 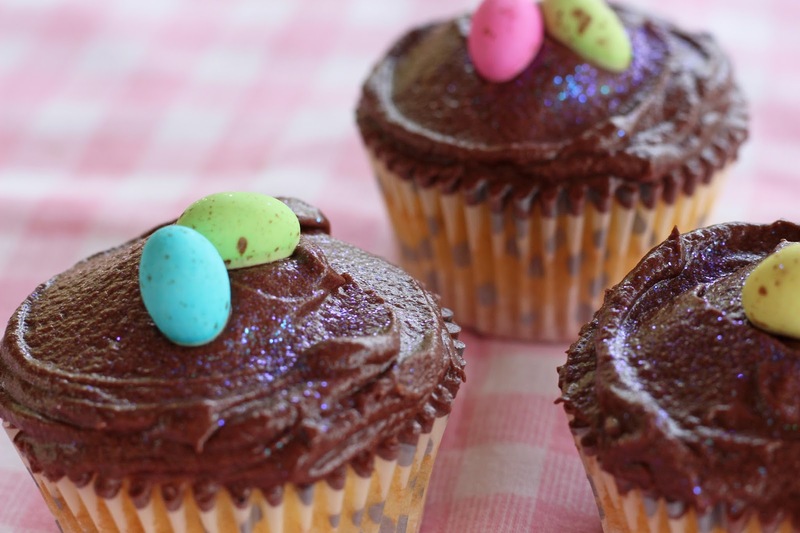 Ice the cooled cupcakes in your desired style, either use a piping bag or just spread the icing with a blunt knife. 5. 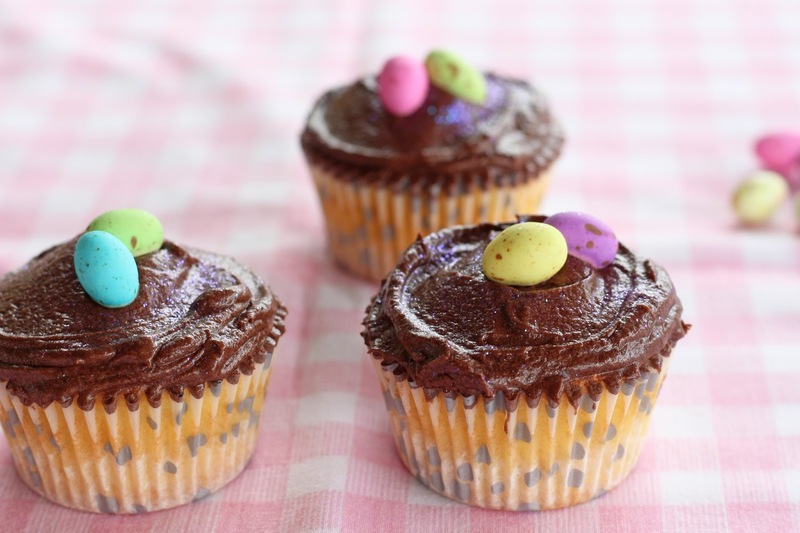 Place 2 to 3 speckled eggs on top of the cupcakes. 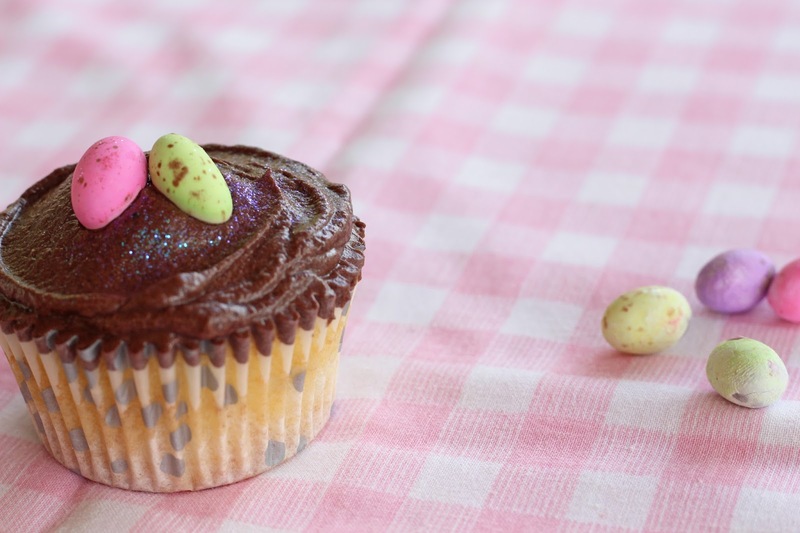 Sprinkle with edible glitter.